Signature Series Coral is seeing Extra Savings in this One time event!! Sale Price $399.00 for a limited time. 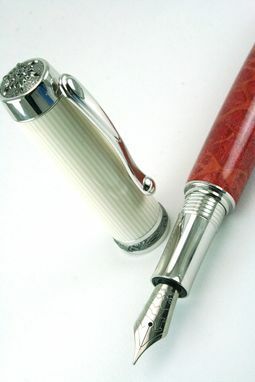 attractive ivory and off-white striping. 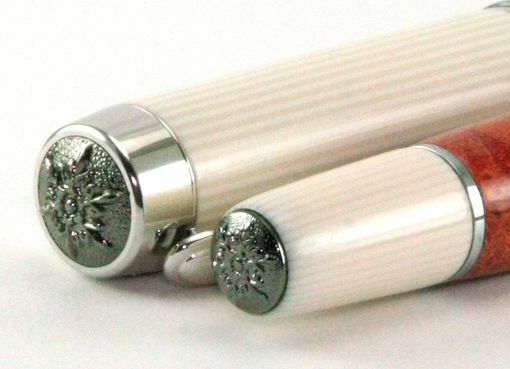 This Fountain pen is dressed in Rhodium with Black titanium trim on center, and at both ends. Accepts International Ink Cartridges, and included Piston Convertor. 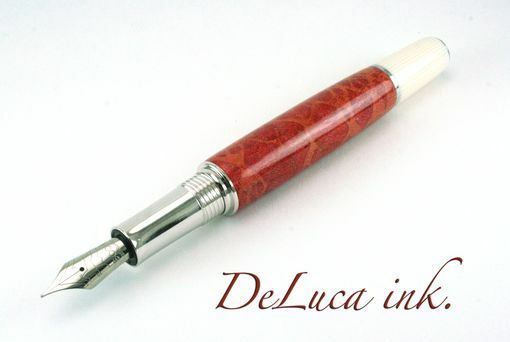 Hand Tuned 6mm Polished Nib from Bock, the Leader in Quality Nib Production. This Piece of Apple Coral is completely stable, and sealed with a topcoat for a lifetime of use. 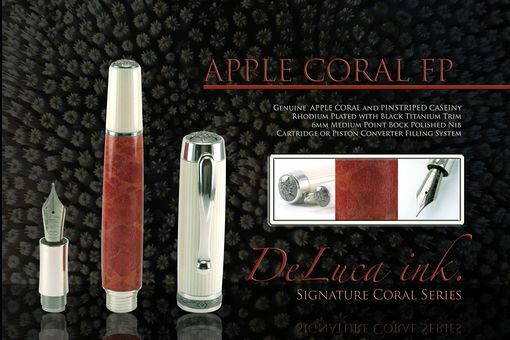 **Apple coral is part of the non endangered species of corals known as melithaea sponge, which is commonly found on the ocean floors around the waters of Taiwan, Indonesia and southern China.